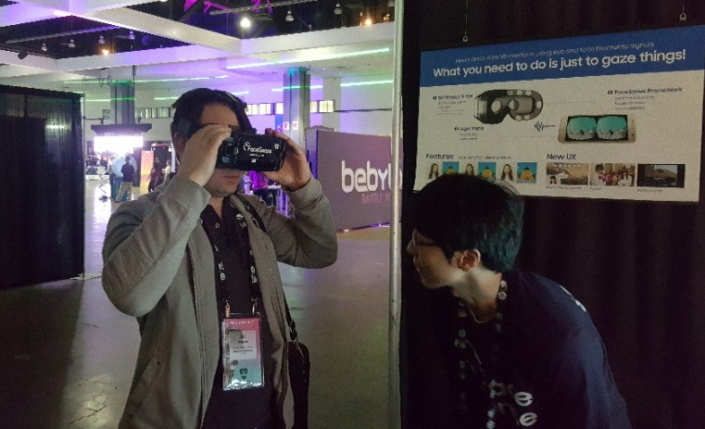 Virtual reality is fast becoming the next big thing in entertainment, and Samsung continuously seeks new ways to innovate with VR technologies to make the platform more accessible and immersive. 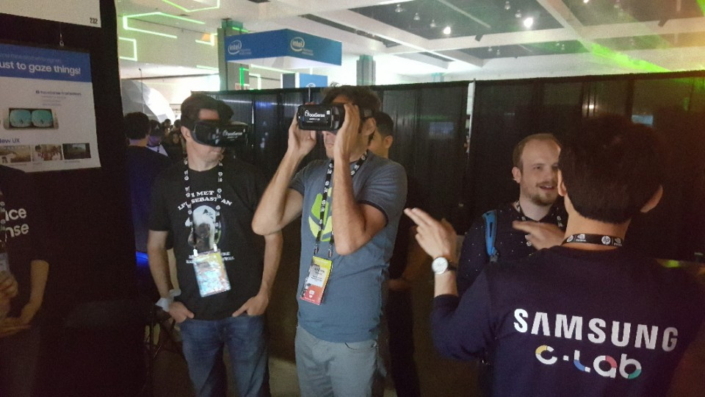 At the recent VRLA Expo 2017 in Los Angeles, a group of Samsung employees introduced one of the latest products of these efforts: an experimental, hands-free VR interface that they call FaceSense. FaceSense is a product of C-Lab (Creative Lab), Samsung’s startup business program that nurtures its employees’ innovative ideas to develop the technologies of tomorrow. The project presents a new approach to VR navigation that works just as its name implies: by tracking movement in the user’s face. Whenever we speak, change our expression or shift our gaze, our faces generate electric signals. FaceSense recognizes and translates these biometric signals into input for navigation, allowing users to maneuver through VR worlds with intuitive movements and simple voice commands, rather than reaching for out-of-sight physical controls. The prototype showcased at the exhibition was designed for Samsung’s Gear VR headset, and may one day lead to the development of further biometric technologies that allow more individuals, including those with various usage impediments, to enjoy immersive VR experiences. 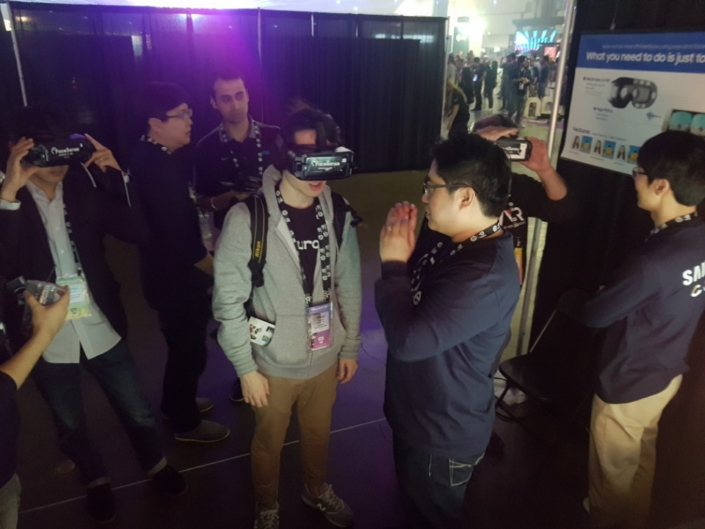 The Samsung employees behind FaceSense showcased the C-Lab project at VRLA Expo 2017, the world’s largest virtual reality (VR) and augmented reality (AR) exhibition, held from April 14-15 at the Los Angeles Convention Center. 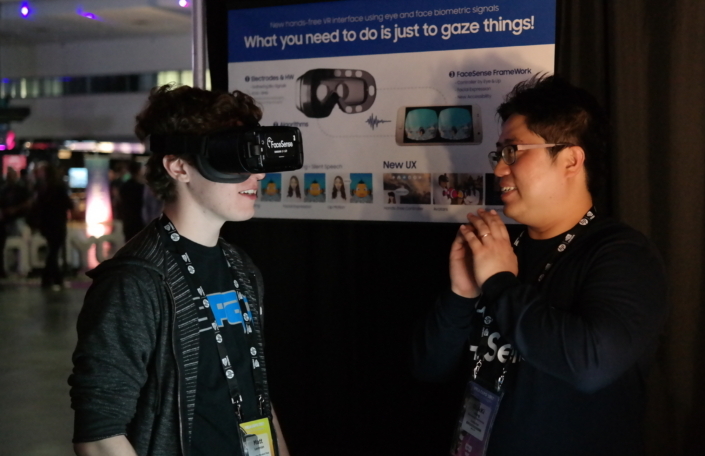 The team based their prototype’s design on Samsung’s Gear VR headset. FaceSense works by recognizing and translating biometric signals in the user’s face, allowing them to navigate immersive VR worlds hands-free. The technology registers movement in the user’s eyes and facial muscles, and is also capable of recognizing certain words. The prototype is currently capable of recognizing voice commands such as ‘home’, ‘back’, ‘select’ and ‘cancel’. 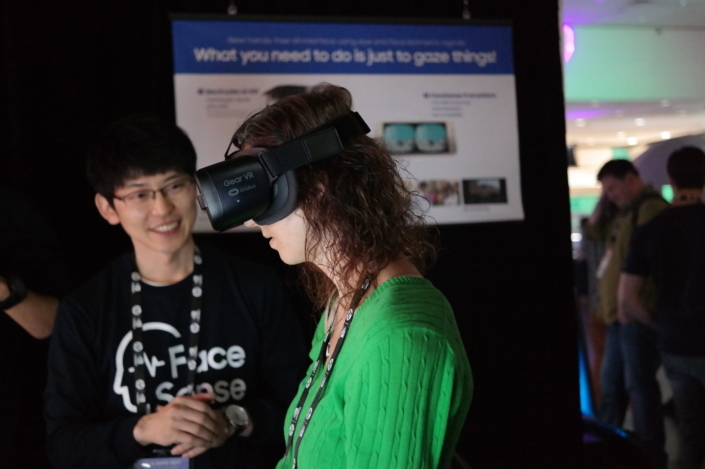 FaceSense’s intuitive controls open the door for more users to experience immersive VR.